Open plan lounge and kitchen... with seating and dining area. Full equipped kitchen... with fridge, oven, hob, microwave and washing machine. 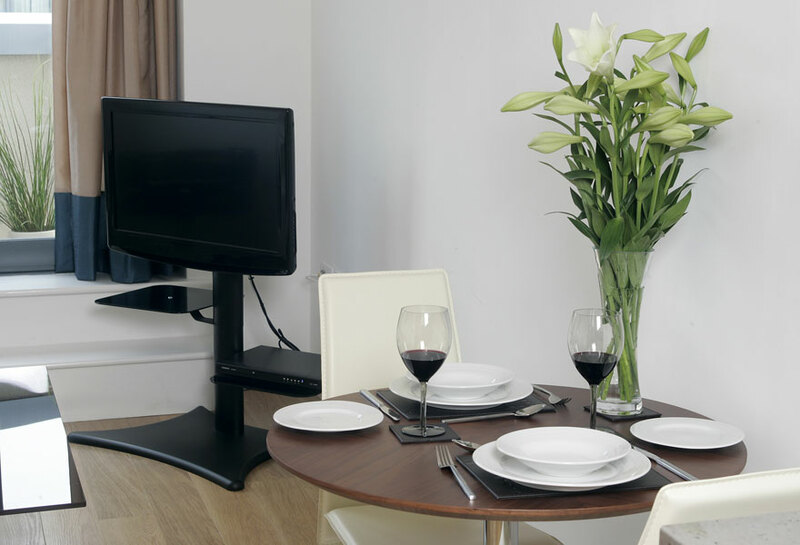 Digital Freeview TV... provides over 40 channels and radio stations to choose from. Undercroft parking... available at additional cost. To discover more, please click on >> above. 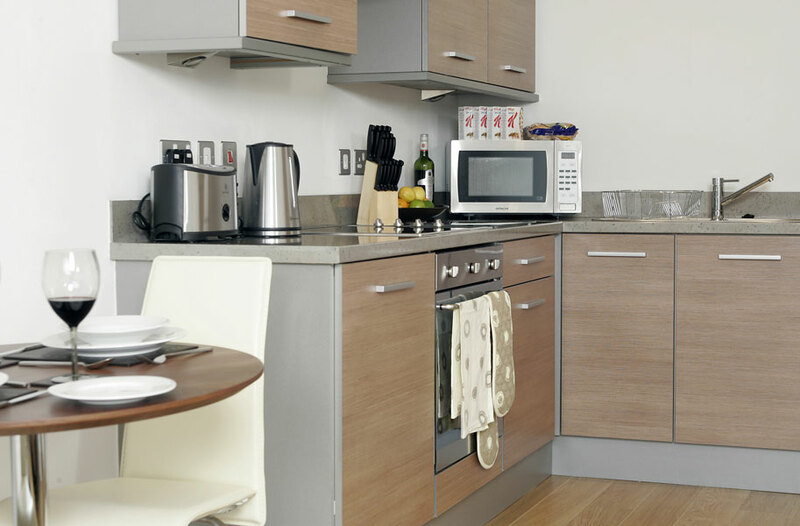 One bedroom superior apartments in Waterloo Court in Leeds are much larger than typical hotel suites. Checkin by meet and greet service at apartment. Weekly maid and linen service included. Decent hairdryer provided as standard. Iron and ironing board provided as standard. Childrens highchair available on request. Childrens travel cot available on request. 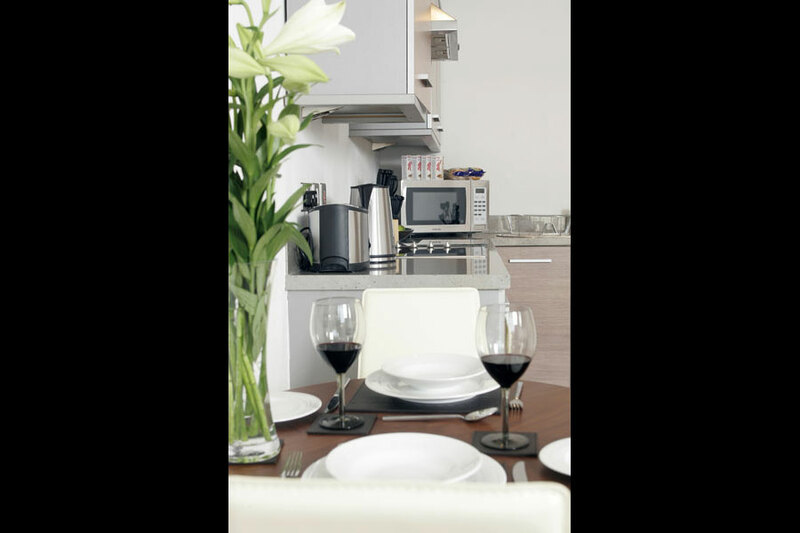 Please note that as each apartment is unique, dimensions, features and facilities do vary by apartment - If there is something that would be essential to your stay, please contact us to check. 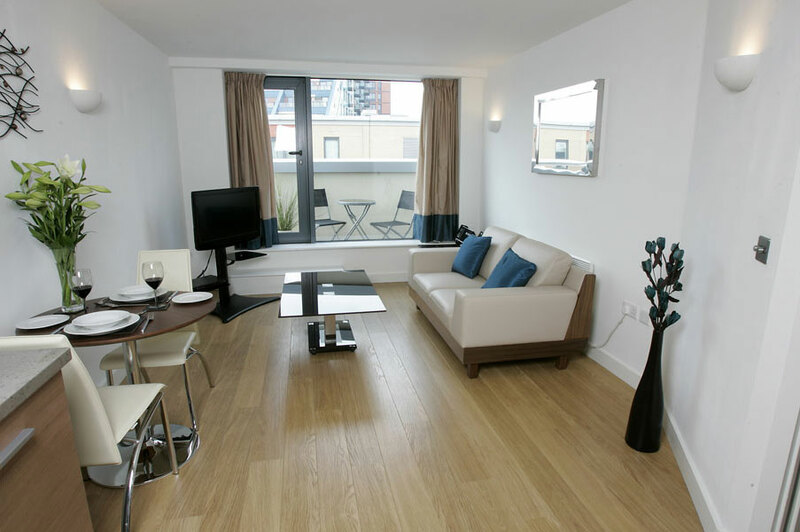 "KSpace Leeds great apartments! I was very impressed with KSpace, firstly when i had a few requests and queries, they were extreamly helpfull and couldn't of been nicer and accomodated all of my requests and needs. Secondly we arrived at and as per usual the sat nav took us to the wrong place, i rang the area manager and she was very helpful, came and met us and directed us to our apartment, where she checked us in. The apartment was very clean, had everything we could of needed. It was also in a great location, we wer literally in the city centre, was great for those who like to shop as we wer 2 mins away from the main shops, and also great for stagering home! KSpace was definatly great value for money, I would definatly stay here again and will be reconmending to friends." "Better than a hotel! Great position in the centre of Leeds and fully equipped also has breakfast included. Very clean and with great service."